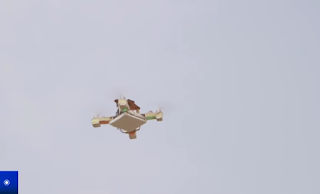 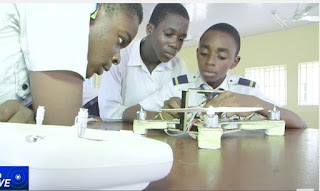 A polytechnic in Lagos has produced its first prototype of a drone. Lagos City authorities have said, if developed fully, the state could employ the drones for security surveillance. 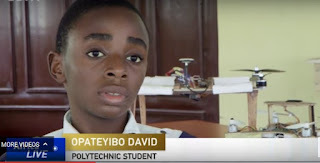 A talented 17-year-old David Opateyibo heads up the development of a drone which authorities in Lagos hope to deploy for security surveillance. 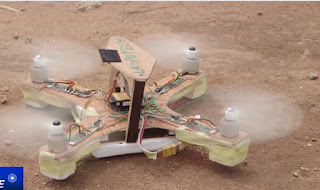 The drone, a high breed mix of existing drone components and locally fabricated material, seems to fly normally but David says there is a lot more room for improvement. 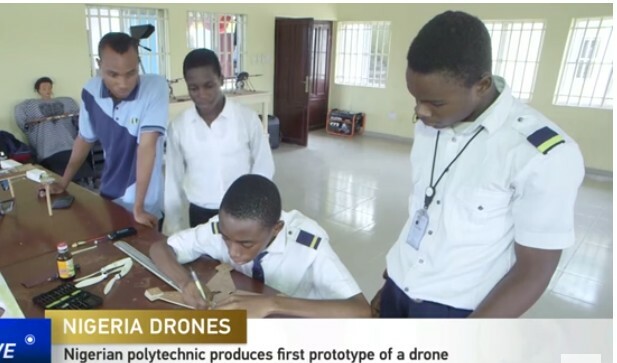 “Aside from using drones for aerial surveillance, you can also use them for aerial photography and videography, or for broadcasting, incidence control or pipeline and power line inspection. You can also use drones in agriculture, to analyze farm produce,” David said in an interview. 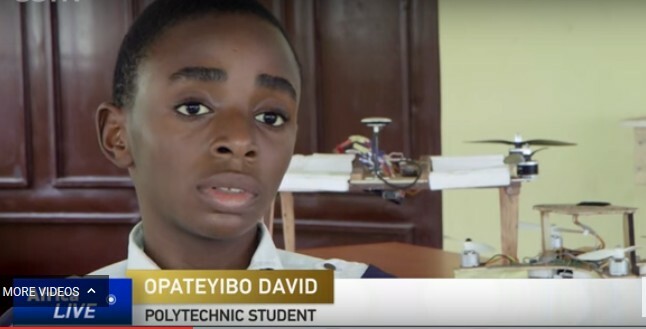 0 on: "17-Year-Old Boy Helps Polytechnic To Build Nigeria's First Locally-Made Drone"